I still am amazed how my taste buds have changed within the last year. When my parents moved to GA, I was fortunate enough that family friends took me in to live with them for the rest of my undergraduate program. Not only did they give me a roof over my head, but they gave me some more flavor. Living with them, I was introduced to flavors that I never really ate. I’ve always shied away from spicy foods because I hadn’t been exposed to them. WIth my dad’s GERD, my mother didn’t cook with spicy flavors. However, with continuous exposure to spicier dishes in my new home, I developed an affinity for spicy flavors. A couple weeks ago, I opted for spicy Italian sausage at the grocery store. I would’ve never chosen that over mild a year ago. I’m glad my taste has changed. I’ve started to appreciate a wider range of foods. The active ingredient that gives foods the extra kick is capsaicin–found in everyday foods such as jalapenos, cayenne pepper and red chili peppers. 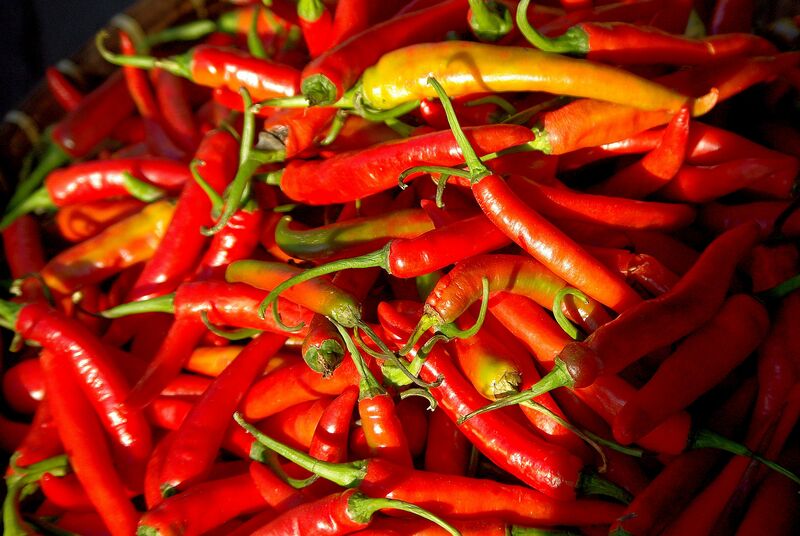 Capsaicin blocks a gene that narrows the arteries–> increasing blood flow in the vessels. May fall asleep faster and stay asleep longer! If you’d like to spice up your life, a gradual introduction of these flavors is key. Add a dab of salsa on your eggs in the morning or a dab of chili paste in your next dish of pasta. You may even like it!